CLA is fully insured and bonded, providing liability and property damage coverage as well as employee bonding and all other applicable forms of insurance coverage. Your peaceful and problem-free work environment will not stay like that forever without regular maintenance. Fortunately, our commercial janitorial and maintenance services can ensure that your office will remain an oasis of comfort and professionalism. As a leading provider of commercial cleaning services throughout the New York area, we are a company that's dedicated to comprehensive cleaning solutions for all your janitorial and maintenance needs. A good office workspace starts with a clean and tidy office. And we understand it perfectly. When you hire us for your office cleaning in New York City and New York area, you will understand why we are highly rated! With our cleaning and janitorial services expertise, and decades of experience, we make every office and commercial building shine! In a place like New York City, making an impression on your clients is not easy. Every step has to be perfectly calculated and rendered with precision. A clean office is one of them. While you handle the business side, let us handle the cleaning and janitorial aspects of your business. 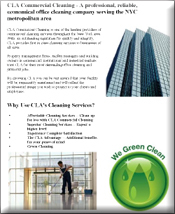 Why Choose Us for Office Cleaning and Janitorial Services in New York City? While many cleaners just clean, we take pride in providing cleaning and janitorial services in New York that are different. We strategize, we plan and we deliver so that you and your business can work on those deadline projects without worrying about cleanliness. The best part about our services is our employees. They are extremely meticulous when they work and always analyze the issues and objectives thoroughly. They are professional, courteous and know what they are doing. Trust us, they are better than any other cleaners and janitors you have experienced before. 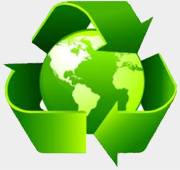 Our cleaning process is comprehensive and encompassing. No cleaning project is difficult for us in the whole of New York. Our years of experience have taught that no two commercial cleaning projects are similar. Each business and business owner has a unique need and we take pride in delivering customized cleaning and janitorial solutions. Choosing CLA Commercial Cleaning means that you'll have peace of mind knowing that your facility is a healthy environment with impeccable cleanliness and that your corporate image is enhanced and acknowledged. No matter what your requirement is, we have the solutions and plans to match it. We are just a call or message away! Give us a call at 646-532-3750 to know how we can assist you in your next commercial cleaning project.